Patrick's Day Shamrock Party begins March 14 at the Fremont Street Experience in downtown Las Vegas. THE FREMONT STREET EXPERIENCEIS KICKING OFF ITS ST.PATRICK'S CELBRATION TODAY!THE FESTIVITIES WILL RUNTHROUGH SUNDAY.THERE WILL BE FLASH MOBS,DANCERS AND FREE LIVEENTERTAINMENT ON SUNDAY, THELAS VEGAS VALLEY FIREFIGHTERSAND BAGPIPERS WILL TAKE PART INTHE ST PATRICK'S DAY MARCH.IT BEGINS AT NOON AT THE MAINSTREET STAGE. 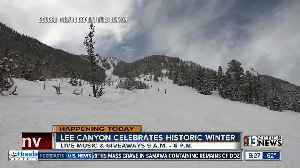 Lee Canyon is closing for the season today. 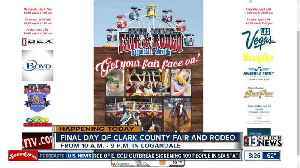 Today is the last day for the Clark County Fair in Logandale. A heads up for anyone who wants to do some hiking today. Red Rock Scenic Drive is changing its hours on April 1. It will now be open from 6 a.m. until 8 p.m. 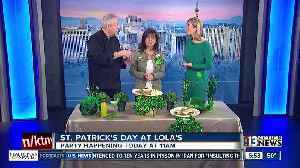 This change happens yearly as days become..
Lola's Summerlin is hosting a big St. Patrick's Day party today. 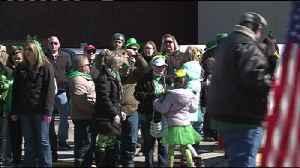 Saint Patrick's day celebrations kicked off in downtown La Crosse this morning. 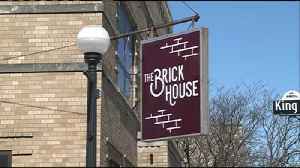 And the celebrations cotinued at the Post Parade Social at the Brickhouse downtown.